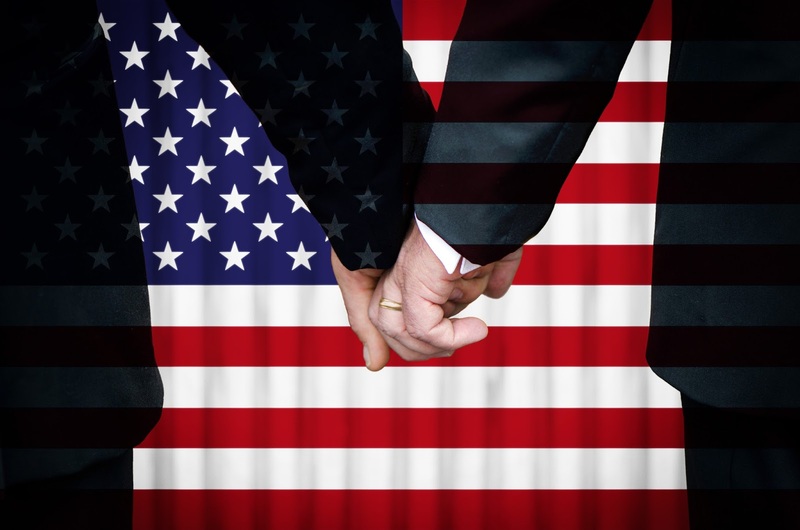 Every year thousands of American servicemen and women apply for social security disability insurance (SSDI) benefits, with the hope of improving the quality of one’s life. Without benefits from the Social Security Administration (SSA), many Americans would find it extremely difficult to afford their yearly costs. In order to qualify for such benefits, one must apply which in turn leads to an evaluation process. SSDI processors will sift through millions of medical records each year to determine who qualifies. The process can be time consuming, the SSA has to request copies of patient medical records from various places, and in the meantime applicants have to wait on a decision. 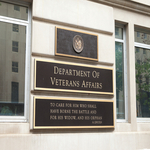 In an effort to streamline the process, both saving time and costs, the Department of Veterans Affairs (VA) and the Social Security Administration (SSA) launched a new system, which will allow the two agencies to share medical records electronically, according to a VA press release. Under the Health IT initiative, the SSA will have access to the VA’s VLER Health Exchange under the Virtual Lifetime Electronic Record (VLER) Program. “VA’s partnership with Social Security will ultimately improve the quality of life for veterans and their dependents by enabling veterans to share their health information within a safe and secure health-related consumer application,” said David Shulkin, VA Health Undersecretary. Just to give you an idea of how much time and money the electronic relationship will save, the SSA has to access almost 15 million medical records from various healthcare organizations, the press release reports. Every year the SSA has to process nearly three(3) million disability claims, having direct access to VA medical records could be a game changer for veterans by expediting the evaluation process. Last Friday was Veterans Day, we at the Driscoll Law Corporation we would like to commend and honor all those who have served in the armed services. The VA’s announcement of the Health IT initiative could not have come at a better time. Millions of retired Americans rely heavily on benefits from the Social Security Administration (SSA). It is not a whole lot of money, but it can prove to be useful for a number of yearly expenses, allowing people to not dip into their retirement savings. Retired Americans are not the only people who receive benefits from SSA, people with a disability (SSDI) and the impoverished (SSI) collect as well. Unfortunately, there was not an increase in benefits in 2016 compared to 2015. However, in 2017, SSA benefits are going to increase by .3 percent, being the fifth year in a row of low benefit increases, Fortune reports. 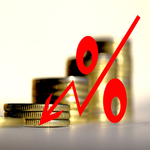 The insignificant increase is being attributed to low inflation in the United States. It is important to keep in mind people who receive social security benefits get, on average, $1,238 per month, according to the article. Which means that .3 percent increase amounts to under four additional dollars per month. When you add to this matter the fact that Medicare Part B premiums are expected to increase in 2017, it means that the slight cost-of-living adjustment (COLA) will be canceled out by the higher Medicare premium. Inflation being low in the U.S. is mainly the result of lower gas prices, the article reports. Over the last year, the price of gasoline has dropped by 18 percent. Naturally, most people smile about paying less at the pump, but not seniors necessarily. A large number of senior citizens do not drive anymore, so they do not reap the benefits of lower prices, yet it affects how much SSA pays out. On top of that, the cost of medical care has risen by more than 5%. If you were born with a disability, or experienced an injury that resulted in one, then there is a good chance you receive benefits from the Social Security Administration (SSA). The Social Security Disability Insurance (SSDI) program is linked to the Social Security retirement program, but is for workers who become disabled before retirement age. The program helps millions of Americans and their families, providing support that can greatly improve the quality of one’s life. This year, marks the 60th anniversary of the SSDI program, so we thought it important to share some of the program’s history. When the SSA was formed in 1935, it did not have any provisions for disability insurance, according to the agency. Social Security Disability Insurance program was signed into law by President Dwight D. Eisenhower in 1956, but it only applied to people age 50 or older. Naturally, the program has evolved and been enhanced with new features over the years, including who is eligible for benefits. At the onset of the SSDI program, there was a six-month waiting period and there were no benefits payable to spouses or children, The Tribune Star reports. Today, people who receive SSDI benefits can receive Medicare coverage, incentives to go back to work and their dependents may be eligible to receive benefits on their earnings records. 1954—Social Security Amendments of 1954 establish the disability "freeze." 1956—Monthly benefits are provided to disabled workers aged 50–64 and to disabled children (aged 18 or older) of retired or deceased workers. 1958—Benefits are established for the dependents of disabled workers. 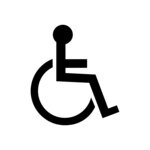 1960—The requirement that a worker must be at least 50 years of age to be eligible for disability benefits is eliminated. 1968—Benefits for disabled widow(er)s aged 50 or older are enacted. 1972—Medicare coverage is extended to Disability Insurance beneficiaries after 24 months of entitlement, and the Supplemental Security Income program is established. 1977—A new benefit formula is introduced that "decouples" the cost-of-living adjustment from wage increases in an effort to control spiraling Social Security program costs. 1980—Social Security Amendments of 1980 place a cap on family benefits to disabled workers, require periodic continuing disability reviews, and create work incentives. 1984—Congress requires the development of new criteria for adjudicating claims involving mental impairments and establishes a "medical review standard" for making determinations on continuing disability reviews. 1999—The Ticket to Work and Work Incentives Improvement Act of 1999 is enacted, enabling disability beneficiaries to seek employment services and other support services needed to help them reduce their dependence on cash benefits. If you have questions and need assistance in filing for SSDI, contact Stephanie Merritt Driscoll, an attorney in Southern California who focuses her practice as a Social Security Disability advocate. People with mental health and/or physical disabilities often have the odds stacked against them with regard to getting by in life. Without question, Americans living with disabilities have a lot with which to contend. And while those who are given the tools and care to foster in today’s society have a fighting chance, there is a significant number of people who have been left behind. Scientific understanding of the brain and how it functions has come a long way in recent years, shedding light on various disabilities. Increased knowledge has given therapists the ability to better treat mental health disorders, which can greatly improve the quality of one’s life. Many of those living with any mental health illness require assistance in the form of Social Security Administration (SSA) benefits, such as Supplemental Security Income (SSI) and Social Security Disability Insurance (SSDI). As was mentioned earlier, researchers continue to shine a light on mental illness, which means that those who once did not qualify for benefits may one day in the future. In order to qualify for SSA benefits for mental health disorder, one must meet the criteria in the Diagnostic and Statistical Manual of Mental Disorders. It is a tome currently in its fifth edition (DSM-V), which was released in 2013. Now, three years later the SSA is finally updating its medical criteria for evaluating mental disorders program. The new rules are scheduled to go into effect on January 17, 2017. "Updating our medical criteria for the disability program is a challenging task that has been complicated by deep budgetary cuts in recent years," said Carolyn W. Colvin, the Acting Commissioner of Social Security, in a press release. "We are committed to updating our regulations to reflect up-to-date standards and practices used in the health care community." You can view the rule changes, by clicking here. If you have a family member, whether an adult or child, who has a diagnosed mental disorder and you need more information about these SSA Rule Changes, please contact Stephanie Merritt Driscoll, an attorney in Southern California who focuses her practice as a Social Security Disability advocate. It is fair to say that the transition from adolescence to adulthood can be a tricky. Leaving home for the first time, for the typical young adult, to start your life in the world often involves one having to jump through a number of hoops. Now, in many cases those who are new to independence can still rely on financial support from their parents, giving them a cushion to help ease the transition. But for those who are in the foster care system who are about to “age out,” expecting that type of safety net is rare, which means that time is of the essence to find a stable job and place to reside. If that is not trying enough, people in foster care who have disabilities have a number of other factors with which to contend. Fortunately, the Social Security Administration(SSA) announced a policy change at the beginning of August of this year (2016), aimed at helping ease the transition of people with disabilities who are aging out of foster care, Youth Today reports. The policy change allows such people to apply for a federal supplemental security income (SSI) program six months (180 days) prior to leaving foster care, as opposed to only 90 days. Advocates of the new policy say that the supplemental income is vital for young adults who are going to be on their own for the first time in their lives, according to the article. Providing funds during the six-months, will mitigate the chance of a foster youth having a gap in income while they wait to hear if they qualify for Supplemental Security Income (SSI). Without federal assistance the situation for transitioning youth can become dire. “It could cost you a home, it could cost you a job, it could mean you don’t have enough food to eat that month,” said Claire Grandison, staff attorney and Independence Foundation Fellow at Community Legal Services of Philadelphia. “We know that foster youth with disabilities face a tremendous uphill battle as they prepare for adulthood and independence,” said Karen Lindell, an attorney at the Juvenile Law Center. If you are a foster care parent and have a child in your care who is approaching age 18 with a disability, feel free to contact Attorney Driscoll. The Social Security Administration (SSA) attempted to make cell phones a necessity for those who receive benefits, but that plan seems to have backfired. 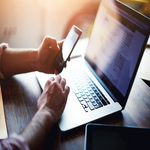 Last month, the SSA announced that everyone with an online “mySocialSecurity” account, would need a cellular phone so that they could get security code text messages for logging into their account, The New York Times reports. And, as you might imagine, older Americans were not happy with the administration's new protocol, forcing the SSA to end the new cell phone policy. 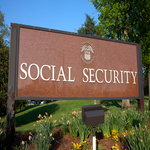 People who receive SSA benefits are able to log on to mySocialSecurity to manage their benefits, or make changes (i.e. selecting a bank account for automatic deposit), according to the article. Under the now rescinded plan, in order to log in online a text message security code would be sent to the beneficiaries' cell phones. An extra level of security, probably for the prevention of fraud or unauthorized access. While this is the 21st Century, and most Americans have cell phones, many older adults still use “landlines”—which cannot receive text messages. Amyotrophic lateral sclerosis (ALS, also known as Lou Gehrig's disease) is a disorder that involves the death of neurons that control voluntary muscles, according to the National Institute of Neurological Disorders and Stroke. The disease progresses rapidly, causing a number of serious health problems, such as losing the ability to speak, swallow or breath on one’s own. There is currently no known cure, but there is a treatment available that can improve the quality and longevity of life. As you might imagine, those who are diagnosed require serious medical attention which is costly, to say the least. While people with ALS do in fact qualify for Social Security Disability Insurance (SSDI), there is a relatively long waiting period to receive benefits they desperately need. Which is why several lawmakers from both sides of the aisle have been fighting to shorten or end SSDI approval waiting periods for ALS patients. 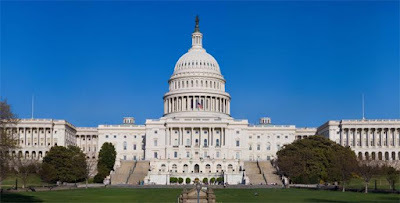 In May, legislation was introduced in Congress that would waive the current 5-month waiting period that ALS patients are subject to before receiving SSDI benefits, ALS News Today reports. The ALS Disability Insurance Access Act would build on former actions taken in Congress 16 years ago. Back in 2000, Congress passed legislation to waive the 24-month Medicare waiting period for ALS patients, according to the article. However, ALS patients still must wait five months before they can start receiving both SSDI and Medicare benefits. 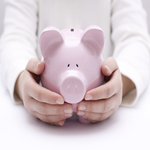 It goes without saying that a life threatening illness puts a heavy toll on the family and can drain saving accounts. The faster an ALS patient begins receiving benefits, the better. “Congress originally justified the five-month waiting period by saying it allows time for temporary conditions to reverse. Unfortunately, that’s not currently possible for someone with ALS. 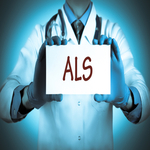 In fact, nearly 50 percent of people with ALS will die within 16 months of diagnosis,” said Barb Newhouse, the ALS Association’s president and chief executive officer. Efforts continue around the world to raise awareness and funds for the development of advanced treatments, and hopefully one day, a cure. The life expectancy after diagnosis is a mere three to four years and the only approved treatment available, riluzole, can extend life by a modest two to three months, BMJ reports. Parents who learn that their child has been diagnosed with a debilitating mental health disorder are often times at a loss as to how to proceed. Those who live with mental health conditions often require intensive therapies to mitigate the impact the problem has on their life. Such treatments, while effective, are both time consuming and expensive—costing tens of thousands of dollars. Most hardworking Americans cannot afford to pay for behavioral therapies out-of-pocket, so they will typically turn to private or state health insurance coverage to offset the costs. If under 18, whether or not married or head of household, the child has a medically determinable physical or mental impairment or impairments which result in marked and severe functional limitations. The impairment(s) has lasted or can be expected to last for a continuous period of at least 12 months or be expected to result in death. If the child is blind, he or she meets the same definition of “blind” as applies for adults. 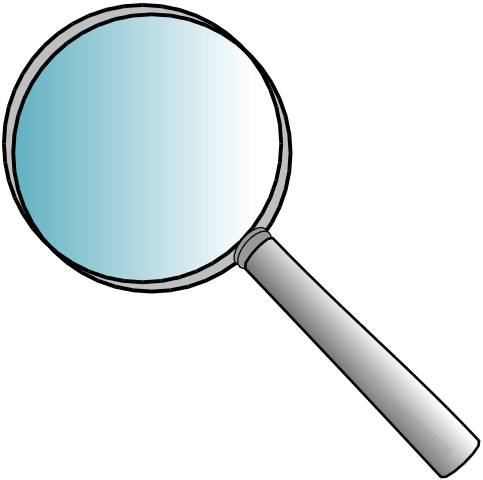 Unlike the requirement for SSI disability benefits, there is no duration requirement for SSI blindness benefits. SSI benefits are a crucial resource for covering the costs of the evidence based treatments available, therapies which could greatly improve one’s quality of life down the road. It is often recommended that a child who is diagnosed with autism undergo what is known as applied behavior analysis (ABA). A therapy which could go on for years and is extremely costly. Fortunately, in 2014 the federal Centers for Medicare & Medicaid Services (CMS) mandated that all states cover all medically necessary care for Medicaid-eligible children with autism up to age 21. In California and a number of other states, the CMS mandates have allowed for many children with autism to get ABA treatment, saving parents thousands of dollars each year. Unfortunately, some states have not been so eager to follow the directive. In Texas, for instance, children with autism who have qualified for Medicaid and have been given ABA recommendations, are being denied coverage, Disability Scoop reports. This has forced some parents to get private insurance plans for the children, coverage which carry outrageous deductibles. While both speech and occupational therapy are covered under the Texas Medicaid program, ABA is not currently a defined benefit. ABA claims are denied despite the fact that research has shown that the therapy can greatly improve the life of a person with autism. In the 2008, faced with a severe economic recession, cuts were made by the California Legislature and then Governor Arnold Schwarzenegger which has had a huge impact on Californians who were aided by Social Security Insurance (SSI) and State Supplemental Payment (SSP). As a result, state assistance program grants were significantly reduced, forcing people who we receiving benefits to live well below the poverty line. By and large, people receiving SSI and SSP benefits are seniors and other disabled Californians who are not able to work due to a disability. Individuals who are over the age of 65, blind or disabled rely on assistance grants to survive. In an attempt to rectify the situation, Assemblymember Cheryl R. Brown (D-San Bernardino) worked tirelessly on AB 1584, the Tri County Sentry reports. The bill could bring an estimated 1.3 million Californians above the poverty line. The cost-of-living adjustment would begin on January 1 of the 2017 calendar year, AB 1584 would also require a maximum aid payment that does not equal or exceed 96% of the 2016 federal poverty level based on family size, or 100% of the 2017 federal poverty level based on family size, to be increased to an amount that equals 96% or 100% of the federal poverty level, respectively. In the United States, there is a significant number of Americans who are unable to work due to both physical impairment and/or mental health disorders. In such cases, adults who meet the criteria will apply for Supplemental Security Income (SSI) or Social Security Disability Insurance (SSDI). Without access to the aforementioned programs, it would be nearly impossible for people with debilitating disabilities to get by in life. Applying for benefits, is at times, a long and involved process. Figures from the Social Security Administration (SSA) indicate that it can take up to 6 months before one might expect receiving disability benefits. Naturally, there is no way of knowing if you might be stricken with an illness that prohibits your ability to work. One day everything is fine, and the next day you may find yourself with a diagnosis of a life threatening illness. Last Sunday, June 5, 2016, the nation observed National Cancer Survivors Day. It is a time to honor everyone who has survived cancer and to provide hope for those who have recently been diagnosed. The celebration is also meant to raise awareness about cancer, and encourage people to have regular physical checkups with their doctor. In cases involving cancer, patients might find themselves unable to work immediately—due to both the symptoms of the cancer itself and the treatments utilized for treating the illness. When that is the case, obviously time is of the essence, and people may find themselves requiring benefits immediately which would mean the approval process would need to be expedited. The SSA provides services to patients who have been diagnosed with cancer through the agency’s disability program. 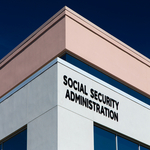 However, in severe cases where a patient clearly qualifies for social security services, the SSA offers what is known as Compassionate Allowance. If you have an illness that can be found on the Compassionate Allowance list, the process of receiving social security benefits will be expedited. The National Institutes of Health (NIH) National Cancer Institute reports that in the United States there were almost 14.5 million people living beyond a cancer diagnosis in 2014. By 2024, that number is expected to reach almost 19 million people. 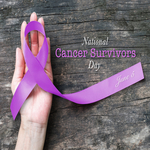 At Driscoll Law Corporation, we would like to honor and show our support for those who have survived cancer and for the millions of people worldwide who have been newly diagnosed. The bill—the ALS Disability Insurance Access Act—was introduced with bipartisan support from democrats Seth Moulton, a senator from Rhode Island, and representatives Seth Moulton, a democratic member of the House of Representatives from Massachusetts, and Peter King, a republican member of the House of Representatives from New York. Since 2000, applicants with ALS who are eligible for SSDI may immediately qualify for Medicare because Congress waived the 24-month waiting period for Medicare for people with ALS. However, under current law, those with ALS must still wait five months before they can receive both SSDI and Medicare, regardless of how quickly an SSDI application was approved and irrespective of the severity of the applicant’s disability. This pending bill would eliminate the five-month waiting period for SSDI benefits for applicants with ALS, which can be a critical for delay for those with ALS. Given the rapid rate with which the crippling neurodegenerative disease can onset, it is reported that nearly 50 percent of people with ALS die within sixteen months of being diagnosed with the disease. This bill would enable the Social Security Administration to administer benefits quickly to persons with ALS more efficiently when the benefits are needed most. Applications and appeals for SSI or SSDI can be complex and time-consuming. Having a professional assist you with your application or appeal can help. 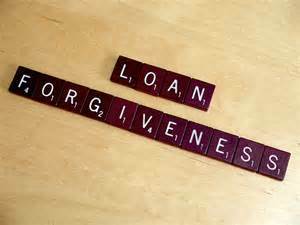 Contact Attorney Stephanie Merritt Driscoll at 949-359-1370 or online for a free consultation. Stephanie Merritt Driscoll is an attorney in Southern California who focuses her practice as a Social Security Disability representative. Last week the Department of Education announced a new program that is aimed at helping federal student loan borrowers who have disabilities discharge their student loan debt. The program creates a Total and Permanent Disability (TPD) loan discharge for people with disabilities who have federal student loan debt and are unable to pay the loans back due to their total and permanent disability. While this program obviously benefits individuals by potentially discharging their student loan debt, it should be noted that the program also aims to prevent an offset against the discharged loans by reducing social security disability benefits or federal tax returns. In other words, in the past, SSDI recipients who qualified for student loan forgiveness potentially saw a change in their SSDI benefits as an offset for the discharge of their federal student loan debt. According to the press release from the Department of Education, this new program, which was part of President Obama’s Student Aid Bill of Rights announced in 2015, aims to identify student loan borrowers who are totally and permanently disabled and protect them from a decrease in their Social Security benefits. The Department of Education announced that such identified borrowers would receive a letter informing them of their eligibility and providing instructions about how to proceed. Stephanie Merritt Driscoll is an attorney in Southern California who focuses her practice on Social Security law. If you or someone you know is applying for or has been denied SSI or SSDI, contact Attorney Stephanie Merritt Driscoll online or at 949-359-1370 to schedule a free consultation. Over the past 5 years, the number of children receiving Supplemental Security Income (SSI) benefits has dramatically increased. According to reports, the number of children receiving SSI benefits has increased over an even longer period of time. Between 1998 and 2013, the number of children receiving benefits increased 45% so as to include 1.8% of all children in the United States. However, the total percentage of children in poverty has also increased during the same time period, thereby increasing the number of children eligible for SSI benefits. Many of the children receiving benefits suffer from mental disorders, including ADHD and autism. Children with speech and language disorders constitute about .31% of child SSI beneficiaries, which is a nearly three-fold increase over the past 10 years or so. All told, approximately 1.3 million children with a severe disability receive financial aid from SSI. According to a report this month from the Social Security Administration’s Office of the Inspector General, the government has concerns that the SSI program is vulnerable to fraud. Specifically, the report focuses on families with multiple children who receive SSI benefits as a target for potential abuse of the program. The Social Security Administration has recently publicized its concerns about fraud and abuse of the SSI and SSDI programs. 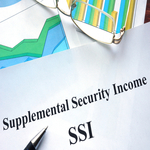 However, SSI and SSDI programs are primarily utilized by legitimate beneficiaries who depend on the income for vital economic support. 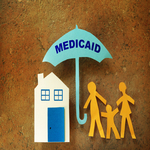 Losing benefits or being denied benefits can be severely detrimental to a family or child’s well being. If you or someone you know is applying for SSI or SSDI, or has been rejected for SSI or SSDI, contact Attorney Stephanie Merritt Driscoll in Southern California online or at 949-359-1370 for a free consultation. Social Security Disability Insurance (SSDI) provides a vital economic lifeline for individuals who are disabled. As more members of the baby boomer generation continue to live longer but encounter injuries and suffer other disability causing events, the demand for SSDI has increased. As a result of increased SSDI recipients, the federal trust fund that is the source of SSDI began to run low and was reportedly going to be depleted by the end of 2016. Fortunately, that possibility will be avoided as a result of a budget deal between Congress and the Executive Branch last October. Part of the bill that passed will include new investigatory divisions that will carefully examine suspicious SSDI applications. The effect of these new divisions on SSDI applicants remains to be seen. Will they make it harder for all SSDI applicants to become approved or just those that appear “suspicious”? Because of increased scrutiny on SSDI applications, people who are considering applying for SSDI should speak with an advocate who can help prepare and review applications, as well as handle appeals. If you or a family member is thinking of applying for SSI or SSDI or has been denied SSI or SSDI, contact Attorney Stephanie Merritt Driscoll online or by telephone at 949-359-1370. The application process for SSI or SSDI benefits is almost always long, typically daunting, and can generally be overwhelming. Moreover, the Social Security Administration rejects many initial applications. This can deter many potential applicants from applying for benefits or appealing a denial of benefits. However, having a knowledgeable attorney assist with the application and/or appeal enhances one’s chances of being approved for benefits. It is commonly believed that attorneys charge a significant amount of money up front for their services, and even more on an hourly basis. This is not the case with a social security disability lawyer. 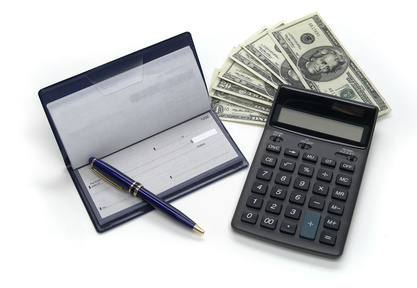 Disability attorneys are only paid if their client’s application is approved, with the attorney taking the lesser of twenty-five percent of a client’s disability backpay or $6,000. Very little and sometimes no money is required up front by the client. In addition to preparing your application, a disability lawyer will represent their client at hearings and appeals. In that scenario, not only can the lawyer deliver a well-organized and fact-based argument, but the lawyer will know the law and regulations controlling Social Security benefits and can use that knowledge to the client’s advantage. 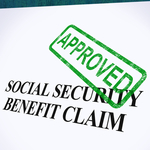 Finally, sometimes it is believed that an applicant should only contact a social security benefits lawyer once their claim has been denied. That is not the case. While a denied applicant can—and should—hire a lawyer to help him or her with their appeal, prospective applicants should speak with a lawyer before submitting their initial application as well. Stephanie Merritt Driscoll is an attorney in Southern California whose practice focuses on social security advocacy. 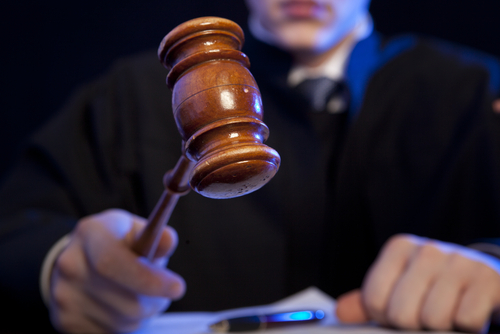 Contact Attorney Driscoll at 949-359-1370 or online for a free consultation. In the midst of a presidential election year, Social Security has yet again proved to be a divisive topic. 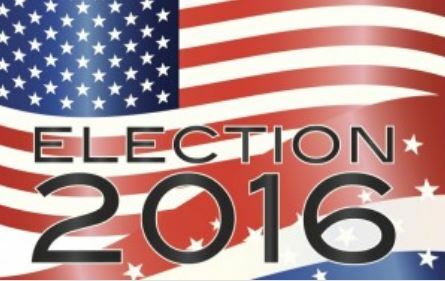 Since Social Security benefits provide and protect some of our society’s more vulnerable populations, it is important to know what some of the candidates’ current plans are for Social Security. On Friday, Hillary Clinton promised not to cut Social Security benefits and one of her aides was quoted as stating Clinton planned to expand benefits. Part of the context of Hillary’s statements on Friday involved a Twitter dialogue with Bernie Sanders’ campaign. The Sanders campaign reportedly asked Clinton to join Sanders in declaring a promise to never cut Social Security. Despite Clinton’s and Sanders’ promise to expand and not cut Social Security, two progressive organizations—the Social Security Works and the Progressive Change Campaign Committee—still have not endorsed a particular Democratic candidate. As for the Republicans, Marco Rubio was quoted last week in New Hampshire as wanting to save and preserve Social Security programs without disrupting them. Rubio asserted that his mother was a Social Security beneficiary, but he explained that Social Security must adapt to survive and will likely not look the same in the future. Other Republican candidates have stated various means tests, increased retirement age requirements, and other policies that they claim are necessary to preserve Social Security for future generations. While it is obviously far too early to tell which candidate’s plans will constitute the future of Social Security, it is becoming increasingly clear that Social Security is an important social and fiscal issue in this presidential election. Stephanie Merritt Driscoll is an attorney in Southern California whose practice focuses Social Security matters, including disability benefits. 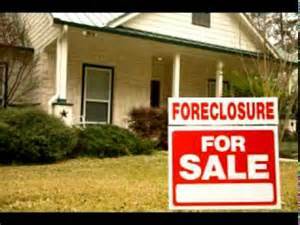 Contact Stephanie today at 949-359-1370 for a free consultation.